The selection will be based on the main concept of the Hybridization and mixing of Identities and borders and it is divided into two sections: MIXED BORDERS and HYBRID IDENTITIES. Nowadays, urban environments, people, rules and limits are no more distinct realities, but they constantly modify and get mixed together, generating new connections and hybrid results. Ethic, social, sexual and religious borders get confused and we feel free to overcome and change all the limits, creating and showing a new type of identity: a crossbreed of characters inserts into a metropolis in which you can find everything you need and become everything you desire. The exhibition concept is strictly connected to the “Nightshow” event, since the night is the perfect moment in which all these changes get revealed. During the night the borders vibrate and identities start to get confused. 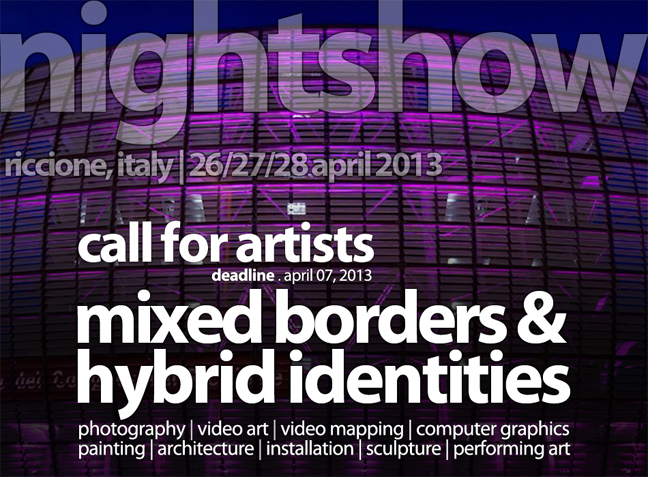 The Nightshow is an extraordinary experience which will involve thousands of exhibitors, artists and viewers. During the exhibition there will be music events, conferences, showcases, workshops, art shows and many more. More than 100 artists from all over the world will perform music, 3D video mapping projects around the city and partners such as Redbull, Samsung, Yamaha. The event will be at the 1st, 3rd, 4th and 5th floor of the Palazzo dei Congressi of Riccione, where the fourth and fifth floors will be dedicated to video art, music, installations and art exhibitions. International ArtExpo will present artists from all over the world in two main venues: Palazzo delle Esposizioni in Riccione in which we will show video art projects divided into two floors (more than 400 square metres of exhibition space), and the Palazzo dei Congressi (Riccione) in which we will exhibit photographic works, performances, installations and sculptures, paintings, architecture projects and computer graphic works. Additionally three places for the 3D video mapping in the city; strategic video projection points in all the Palazzo dei Congressi, with high visibility; dedicated rooms for solo and collective projects and exhibitions. 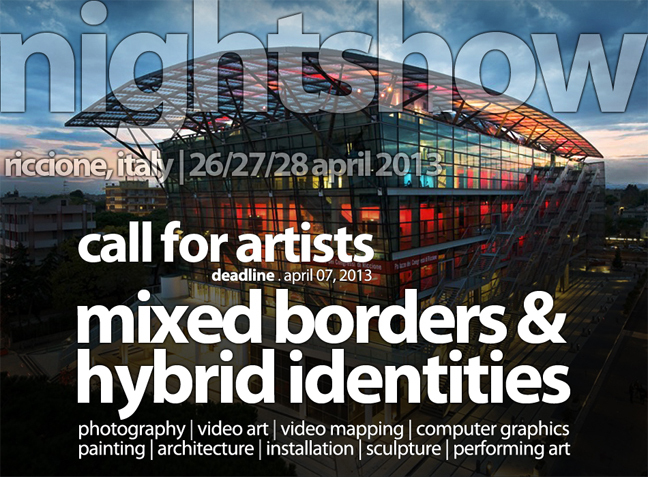 For the first time International ArtExpo open the selection to the Video Mapping category! 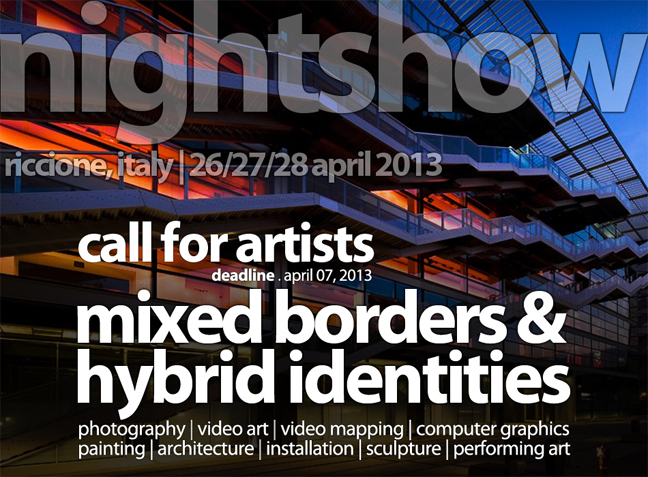 Video Mapping proposals can be presented for free and, if selected, will TAKE PART in this great exhibition FOR FREE!